November 14, 2016 (Houston, TX) – Boxer Property is pleased to announce its agreement with the owner to manage and lease office space at its property at 10210 Grogans Mill Road. 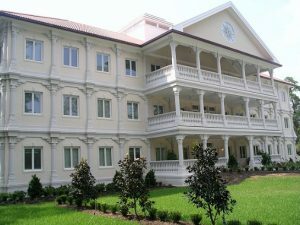 The 19,557 square foot property features three stories of office space and is surrounded by beautiful landscaping. The boutique office building was constructed in 2004 and is uniquely situated on 1.9 acres of land with a lake frontage. This marks Boxer’s first property in the Woodlands area . 10210 Grogans Mill Road is located in The Woodlands, which is approximately 28 miles north of Houston, TX. Located in the Town Center District on the corner of Woodlands Parkway and Grogans Mill, the property is just minutes away from the Cynthia Woods Mitchell Pavilion, Market Street, and The Waterway.